The selection of spontaneously hypercholesterolemic rats in a large animal breeding unit and the maintenance of this characteristic over numerous successive generations were performed by Zucker1, Kolestsky2, Imai et al.3 and Müller4. 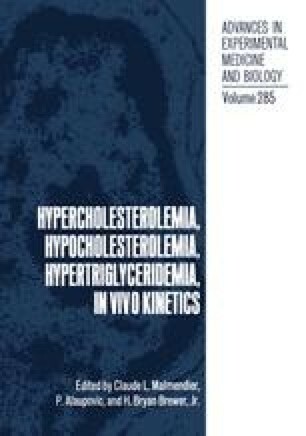 We were particularly interested by this last strain: by as early as 1979, RICO rats (rats with increased cholesterol) were 100% hypercholesterolemic after the fifteenth generation of consanguineous breeding. These animals are normotriglyceridemic and non-obese, in contrast with “Zucker” rats. They were isolated from heterozygous normocholesterolemic rats from this animal breeding unit (CIBA-GEIGY) which we shall refer to as SW. A single study, published in 1979, reported some of the characteristics of the cholesterol metabolism of these animals4. Since 1983, we have therefore conducted an exhaustive study of the characteristics of the cholesterol metabolism of this strain of rats.